I provide quality service to all clients with the highest level of honesty and integrity. I am a very truthful agent who strives for satisfaction in all business affairs even if it means sometimes telling clients what they do not want to hear. Knowledge, Experience, Understanding , Accountability, and Creativity separate me from other real estate agents. I always strive for excellence and I am committed to continuing my education so that I may better serve my clients. I am sharing this with you because I believe it is important for you to know who I am, and more specifically, how I feel representing you. 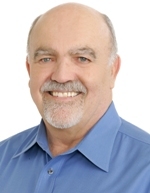 With over 40 years of experience in the real estate business, Jack Gillespie is a first rate Realtor. One thing is undeniable - Jack Gillespie LOVES the real estate business. He gains a tremendous amount of satisfaction finding the RIGHT homes for his buyers and attaining the BEST prices for his sellers. With the help of his associate, Jack provides his clients with 7-day coverage to meet their needs. As Jack will tell you, "What keeps me interested in real estate is the satisfaction I get when I know my client is happy with their home." His unflappable composure is remarkable considering he is Co-President for South Bay Brokers, a company that generated more than $900 million in sales last year. But what is most noteworthy, besides his personal sales record (approximately $50 million in sales annually), is Jack's modesty and bigheartedness. Jack has devoted countless hours giving back to the communities that have made him a success. As a company, South Bay Brokers is an active supporter of S.P.A.R.E. (Save Pound Animals through Rescue & Education), Harbor UCLA Medical Pediatric Departments, the Hermosa Beach & Manhattan Beach Educational Foundations and Sandpipers, just to name a few. On a more personal level, Jack serves on the advisory board of the Manhattan Beach Education Foundation. He and his family actively support the Miller's Children's Hospital at Long Beach Memorial (to help children with cancer), Mira Costa G.R.A.D. (Graduates Resisting Alcohol and Drugs), the annual "Manhattan Beach Holiday Fireworks" display, as well as volleyball, football, soccer, hockey and basketball programs in South Bay Schools. When given the opportunity, Jack also serves in an advisory capacity for pricing on single family residences to large-scale development projects. Jack and his wife of 34 years, Maureen Gillespie, live in the Tree Section of Manhattan Beach. Their oldest daughter, Claire, has joined Jack in the real estate business - 2 generations, 2 perspectives - while their youngest daughter, Maggie, recently graduated from Loyola Marymount University and is also in Real Estate.